Robert Mueller thought he scored a major victory in his crusade to remove Donald Trump from office. But then something happened that Mueller did not anticipate. Mueller was forced to confront one question in a growing scandal that could mean the end of his rigged witch hunt. Heavily armed FBI agents executed a Gestapo-style raid on Trump associate Roger Stone’s home. 29 agents armed to the teeth and sporting tactical gear deployed armored vehicles, helicopters and attack boats to take the 66-year-old Stone into custody. FBI agents arrested Roger Stone after Mueller indicted the self-proclaimed dirty trickster on seven felony counts – five on charges of lying to Congress, one witness tampering charge, and one count of obstruction of justice. 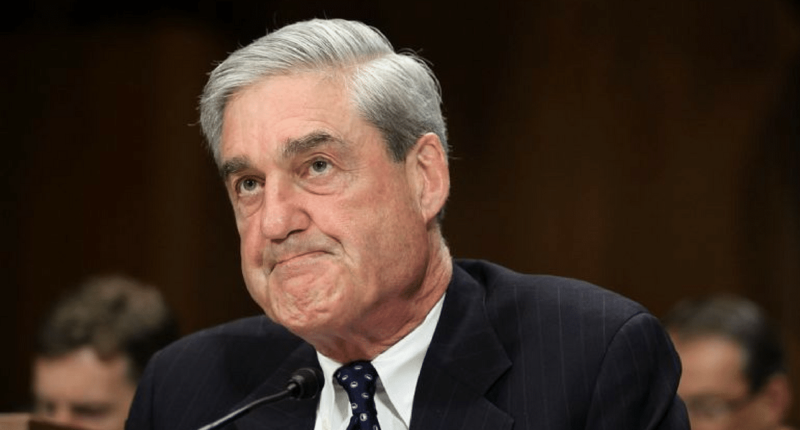 The raid – and Mueller’s indictment – ignited a national firestorm. But it did not lead to the type of attention Mueller wanted. The special counsel hoped the overwhelming display of force and the number of charges against Stone would distract Americans from looking too closely at what Mueller did not accuse Stone of. For two years, fake news journalists accused Roger Stone of being at the heart of an international conspiracy to collude with Russian intelligence to rig the 2016 election. These accusations rested on public statements from the flamboyant Stone about being in contact with WikiLeaks founder Julian Assange as well as accurately “predicting” when WikiLeaks would release their emails about Hillary Clinton. But the truth was Stone just embellished on his public comments. He testified before the House Intelligence Committee and said that he never contacted Assange. In addition, Stone told the committee that all his predictions were either based on Assange’s public statements that WikiLeaks had damaging information on Hillary Clinton or through his communications with an intermediary, the New York City radio host Randy Credico. Mueller’s indictment of Stone led to Americans asking serious questions about the Mueller probe. First, they wanted to know what Mueller was actually investigating. The indictment makes it clear that Stone did not get his hands on the Clinton emails from WikiLeaks. Mueller also never charged Stone with lying to Congress for denying that he ever contacted Assange or had firsthand knowledge of what WikiLeaks was going to release. In fact, what Stone passed along as supposed inside information about WikiLeaks – that they would release a batch of Clinton Foundation emails in September – proved to be incorrect. Mueller also hoped Americans didn’t notice another big problem with the Stone indictment. By indicting Stone for lying to Congress about discussing WikiLeaks with Trump campaign officials, Mueller officially drove a stake through the heart of the Russian collusion narrative. If key campaign officials like Michael Flynn, Paul Manafort, Carter Page or Michael Cohen were already colluding with Russian intelligence officials on obtaining and releasing the hacked emails from the Democrats, why would they need to use Roger Stone as an intermediary to find out what WikiLeaks was going to release? Mueller hinted this was where he was going last summer when he indicted 12 Russian nationals for the email hacks. Buried in the indictment was the admission that no Americans played a role in the cyber attacks. That means there was no collusion with the Russians. Mueller’s indictments of Roger Stone only serves to make that official.